Sail to Ski in Norway. 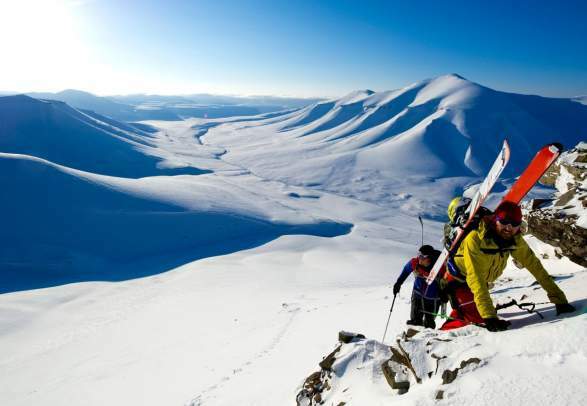 With several hundred summits at their disposal, dedicated off-piste skiers are sure to find a challenge that meet their ability and ambition on a Norwegian ski to sail mission. Boats that cover huge distances provide both transport and accommodation, so the passengers get to experience the most spectacular locations and the best slopes. The vessels are operated by professional guides who are on hand to offer their extensive local knowledge. Sail to ski is also a great way to guarantee the best conditions, as you are not tied to a single base – this is a huge advantage in the changeable coastal weather conditions. The boats offer all the rest and relaxation you need after a day’s skiing. The evenings are spent sharing traditional Norwegian cuisine with fellow skiing enthusiasts. There is also a chance to take part in a number of other Nordic activities such as fishing and – for the more adventurous – a swim in the ice-cold fjords.